Product code: W528cc Categories: Sold Items, Sold Rolex Watches. This is the Rolex Sea Dweller reference 16600 that has increased in popularity and demand so much in recent years for so many great reasons. Firstly, the Rolex Sea Dweller has become sought after as this model is now discontinued by Rolex with the last Sea Dweller being made in 2007 and replaced with the Rolex Deep Sea Sea Dweller, making this model increasingly hard to find. Secondly, this is the “Big Brother” to the traditional Rolex Submariner, and capable of going down to 4,000 feet/1,220 meters and because of this deeper depth, has a watch case that is 1mm thicker and the sapphire crystal 1mm thicker than the Rolex Submariner. As it is a thicker crystal, the Rolex SeaDweller does not have the bubble magnifier over the date window, giving the Rolex Sea Dweller a very clean sleek look to it. 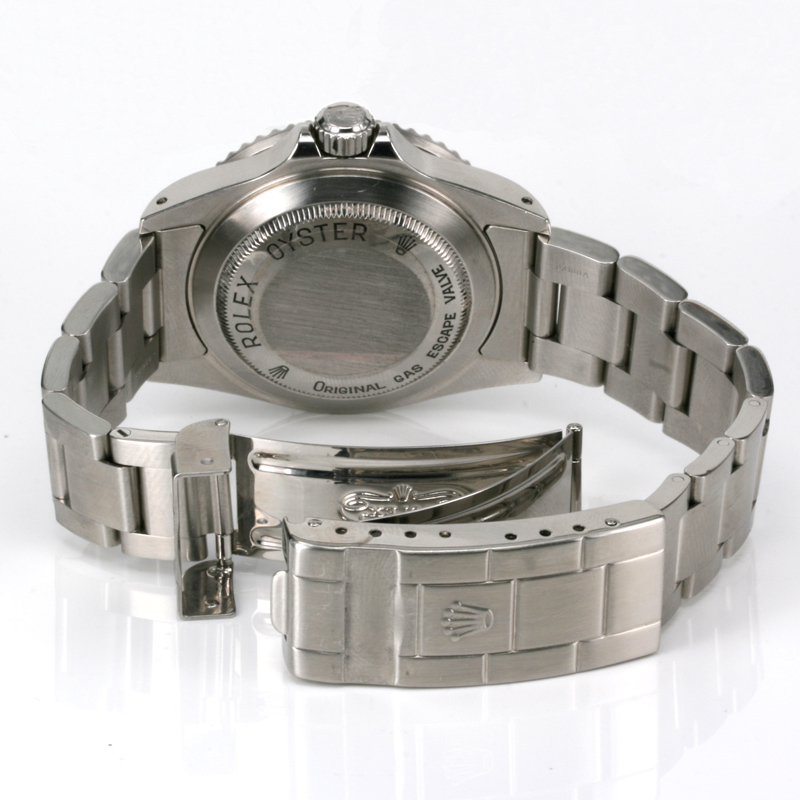 Still measuring 40mm across plus the Rolex screw down crown, it is fitted on the Rolex Oyster band with flip-lock clasp and divers extension link, and both the case and the band are in fantastic condition as is the automatic Rolex movement that comes with our twelve month warranty. In brilliant condition and so easily capable of being worn day or night, in and out of water, this Rolex Sea Dweller is just perfect for all occasions.